Looking to finance or lease a new Jaguar XE and trying to find the best deal out there? If so, it’s time to check out our lease offers and deals taking place at Hornburg Jaguar Santa Monica. Enjoy access to premium luxury sedan features like leather upholstery, heated seats, and a state-of-the-art InControl® Touch Pro™ infotainment system, as well as high-end Meridian™ audio. Get it all near Brentwood right now at our dealership in Santa Monica. 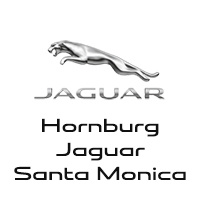 Why Choose a Jaguar XE from Hornburg Jaguar Santa Monica? When you choose to lease a luxury car from Hornburg Jaguar Santa Monica, you can always be sure to get exactly what you want. That’s because we have an incredible selection of new Jaguar models near Pacific Palisades, including the Jaguar XE in a variety of trims and packages. Each model is protected under Jaguar warranties. Lease the new Jaguar XE and then make an impression at one of the best Pacific Palisades restaurants. We’re open every day, and you can find our dealership just a short drive from Pacific Palisades. Contact us today to get started.